But, when it comes to throwing a feast-worthy party, we’re all about the grazing tables. C’mon, they’re practically the eye candy of the dining world. The folks at My Alter Ego Catering shared their hottest tips for crafting a grazing table that’ll have jaws dropping left, right and centre – and we take absolutely no responsibility if you demolish it before everyone arrives. 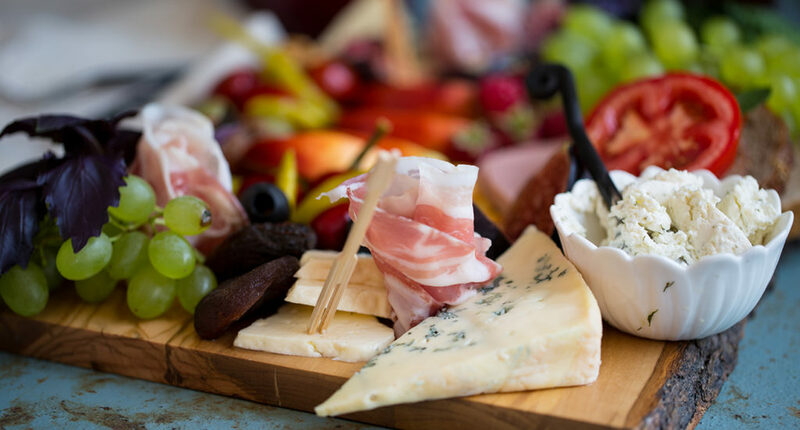 When it comes to the construction, take inspiration for your perfect platter from some of the great local businesses like SayCheese, Platter Parlour, and Your Platter Matters. OK, this one sounds like a no-brainer, but it’s easy to get carried away by how damn tasty your grazing platter looks. Sure, dragonfruit looks killer on a plate, but we guarantee your guests are itching to get to the good cheese and prosciutto. 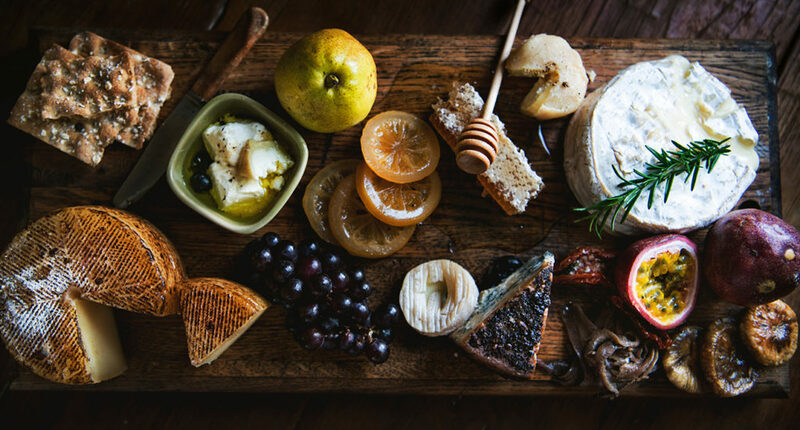 Nab some winning fare from a proper deli and you’ll ace your grazing board, no matter what. 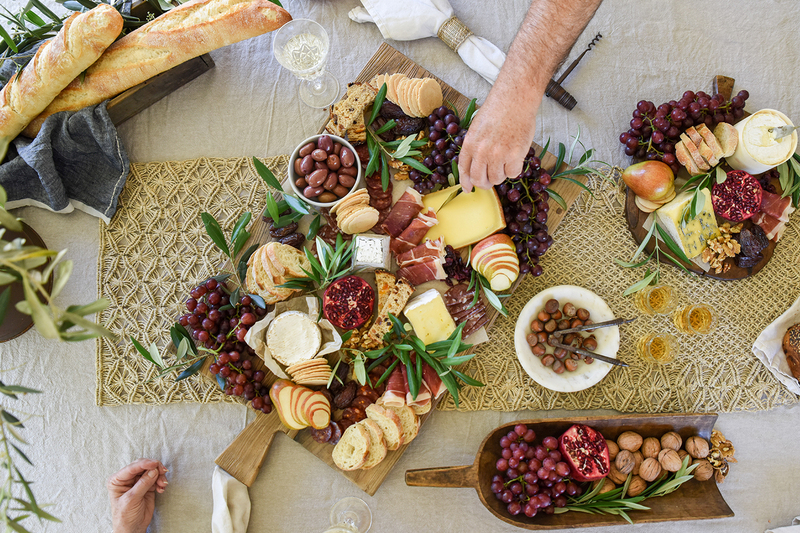 C’mon guys, arranging a platter that’s 90% grapes and 10% cheese isn’t going to win you any friends (or fun ones, anyway – #sorrynotsorry). Go big or go home – sure, your food bill’s gonna be a bit bigger, but you won’t have friends going home complaining about a platter packed with crackers and nothing else. You’ve probably thought of the more obvious tips (don’t pile everything into mounds; start arranging the bigger items first, etc) but texture’s often overlooked. 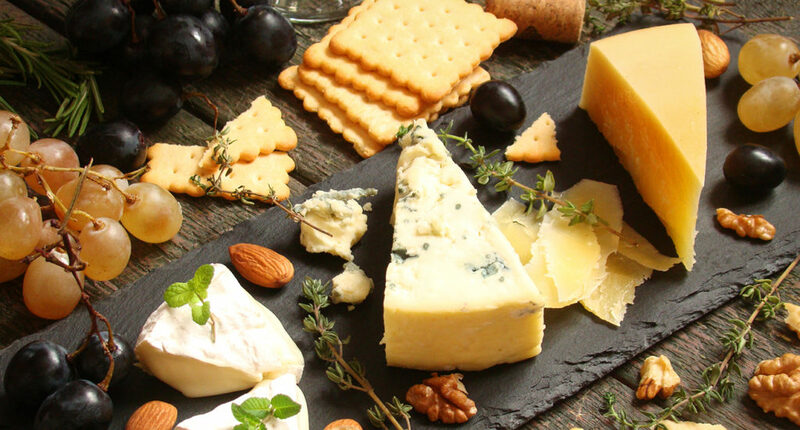 Keep things fresh with soft and hard cheese, smooth and coarse crackers, and the occasional crunchy snack. Just remember where you’re putting things – no salted caramel popcorn next to the olives, friends. Alright, we’ve got the major players in place – time to kick up the Insta-worthy glam with a side of seasonal fruit. Pile on the mango, pomegranate, passionfruit, grapes, or figs to make this plate pop. No, we’re not talking about that time we slammed back three Long Island Iced Teas – we mean actual nuts. Fill out those empty spaces with a few handfuls of almonds, pistachios or walnuts. 6. Too much on your plate? If you’ve followed our directions and ended up with a precarious tower of snacks, meats, and cheese … uh, we’re not seeing an issue, frankly, but we’ll help you sort it. Build different layers on your platter with different-sized chopping boards, baskets, mounted trays and mason jars to split things up. When you’re done, add the finishing touches – sprigs of rosemary or thyme and some blueberries or raspberries, for instance! This heat is like a punch to the face, so make the most of it with some punch to your face!